‘Ello ‘ello, old chums. Back with another trade post. This one is from CamClow of Cardboard Heaven. Only three cards in this, but they are all great ones. MJD Jumbo Jersey /50, FergiePants, and Colston refractor..
As far as plain jerseys go, nothing beats a Donruss jumbo swatch, I tell ya. It’s hard to explain, but they just do it better. Maybe this is where the designing cards backwards comes into play (not that that makes it right). I dunno, but I rarely see one I don’t like, even when the design blows (not the case here, thankfully) or the swatch isn’t that jumbo (it’s more medium-sized really). 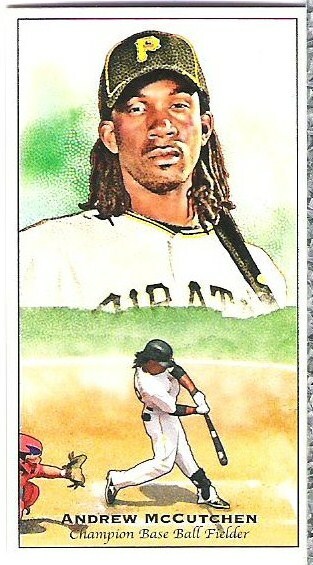 The design on the Jones-Drew is nice and simple, especially considering this is Donruss we’re talking. It frames the player and cool turquoise jersey swatch quite nicely and incorporates the Jaguars team colors into the card in a coherent way. Good job, designer person! 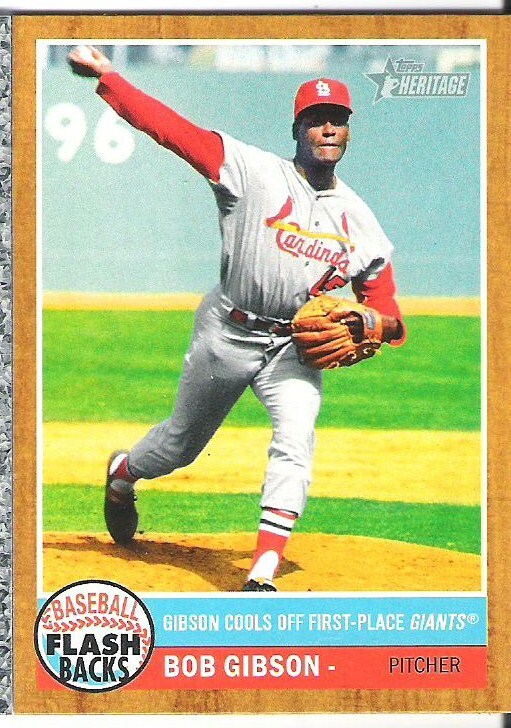 Next, that Fergie Jenkins pants card is just a thing of beauty. 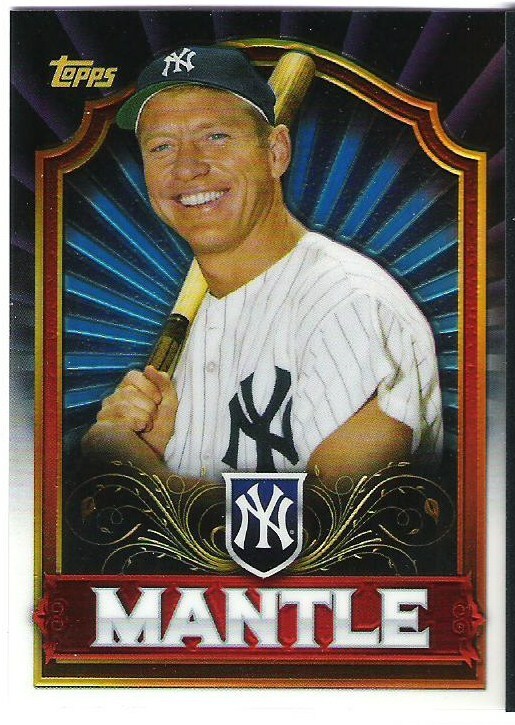 Upper Deck Vintage were amongst the greatest sets of the past decade, if not all-time, and the hits are no exception. Just a stunning card. Definitely one of the highest highlights of my Fergie Jenkins collection. Needless to say, excellent trade, Mr. Clow. I will get my end of the trade out to you as soon as I pick you up another jersey card for your 3000K collection (Clemens most likely). Thanks for stopping by! Hey all. So I guess I’ll start with the most recent trade to arrive and work my way back. This package arrived sometime between Tuesday and Thursday this past week from Marie of A Cardboard Problem. Some specific Cubs player collections..
A nice mix of specific Cubbies I collect. The only one here I might have already is the ’10 Aramis Chrome. The Attax look great! Which reminds me… The random coupon generator at Target finally spit out something useful last time I was in there. It gave me a $2 off an Attax starter set coupon. I will have to be sure and use that sometime, if only for the novelty of having a coupon for sports cards (and the trade bait, oh the tradebait). 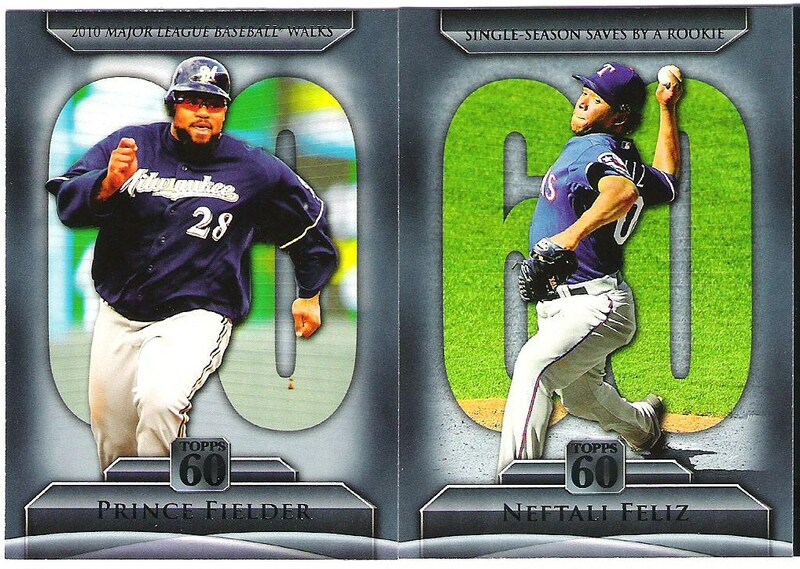 Btw, when is topps going to realize that the flagship set’s base cards look better without the foil and ditch it. The price-per-card of Opening day and regular is about the same anyway. Just lose the messy, hard to read foil touches on the name already. Jeez. And Ryan Dempster is staring into your soul. He says it’s dark and moist in your soul, like a humid midwestern night, and that it smells like burnt cheese and Hai Karate. Is that normal? I don’t even want to talk about the Cubs this year and Soriano being the only guy being an offensive threat and hitting home runs means I can’t blame it on him. So I’m just going to move on to the big prize. A prize so rich that it completes my unlikely trifecta of one of the hottest young stars in all of sports! Behold! Oh yeah, there were two of these Heritage Fonzies. Neither one seems to be a variation or anything, so I’ll be sure to send one along to the BigD crew when I get around to trading with them (got a TON of stuff for you guys). That’s more like it! A jumbo swatch from one of the longstanding favorites of Donruss and now Panini’s stalwart Absolute Memorabilia brand: Tools of the Trade. 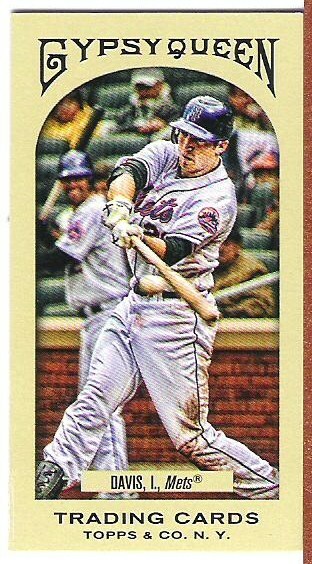 The card is #’ed /49 and has a nice-but-not-obnoxiously-overbearing-shine that the scan doesn’t pick up at all. All in all, it’s an outstanding addition to my collection, and a great way to cap off what may be my first (if not, then still only second completed trifecta. I do have one gripe, and it’s for Panini. It would be nice if they said what the swatch was supposed to be. I just figured it was jersey when I watched it being pulled over on ustream, but the lil white dots you see on the swatch are kinda… shimmery, I guess, and the fabric is softer than any that of any other jersey cards I had on hand. It also feels slightly thicker/puffier than plain jersey, but not enough to think it’s a shoe or prime/patch. I really have no clue what it’s supposed to be. Too hazard an insane guess, I’d say it’s some part of a tuxedo. It is kinda satiny-feeling, now that I think about it. None of the obvious choices seem right, so why not? 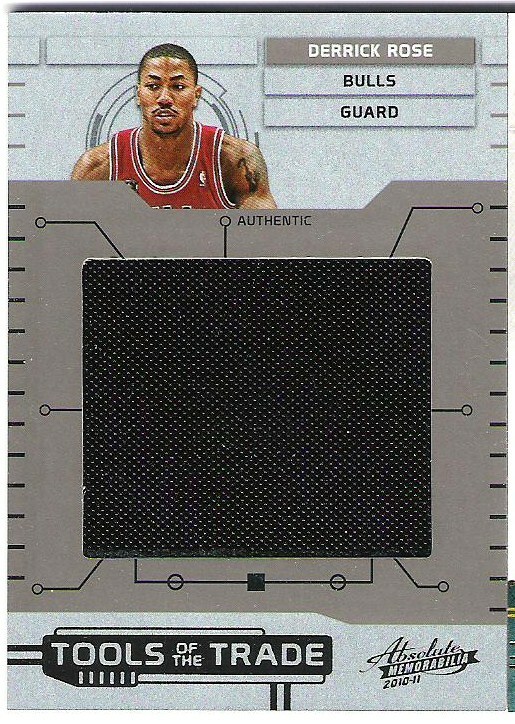 So yeah, until I find out otherwise, this is Derrick Rose-worn tuxedo. That classes up my trifecta a bit. Haha, yeah! 😛 Thanks, Marie! Will have your stuff out this week. Bye. Pretty nice haul considering how little I had to work with. No complaints about condition either. Only the ’60 and ’72 had any damage, but except for a certain 1965 card from a recent-ish trade and some pack fresh ’83s, I don’t know that I’ve ever even seen anything from before the junk wax era that was minty fresh. 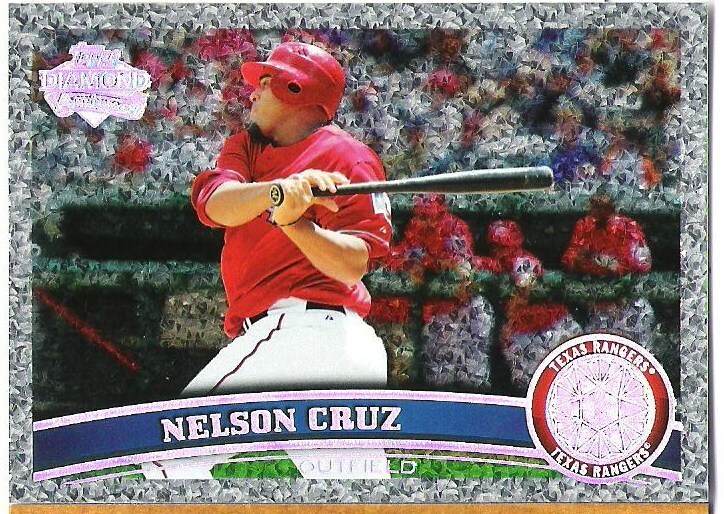 Hell, a lot of current cards don’t even seem to come out of the pack minty fresh. So yeah, these are fine, even centered nicely. Davy Lopes is only has the slightest corner ding, otherwise he’s in perfect condition. I didn’t have much luck with the MCG, either pulling them from packs, or turning them into vintage once on the site. In fact, I’ve already pulled more Diamond Giveaway chances than I pulled MCGs all of last year, and with better vintage success (close to 50%). Freed and Schroll were the only two pre-1975 cards from the MCG I scored myself without have to trade for. Schroll was was great to get myself as a Cubs fan, but he was the only pre-1970 card I hit at all. I’ve already somewhat duplicated the vintage Cubs feat this year, hitting a 1970 Don Young, that I will most likely be keeping, and hit have hit two pre-1970 cards (both ’69s, one I traded for a ’67) so far. I really enjoy the idea of these “giveaways”. They definitely haven’t perfected it, but it’s a fun way to score some random vintage cards (and other goodies), and really, who can argue with random vintage (and other goodies)? Freed and Lopes are available for trade. Seeya. 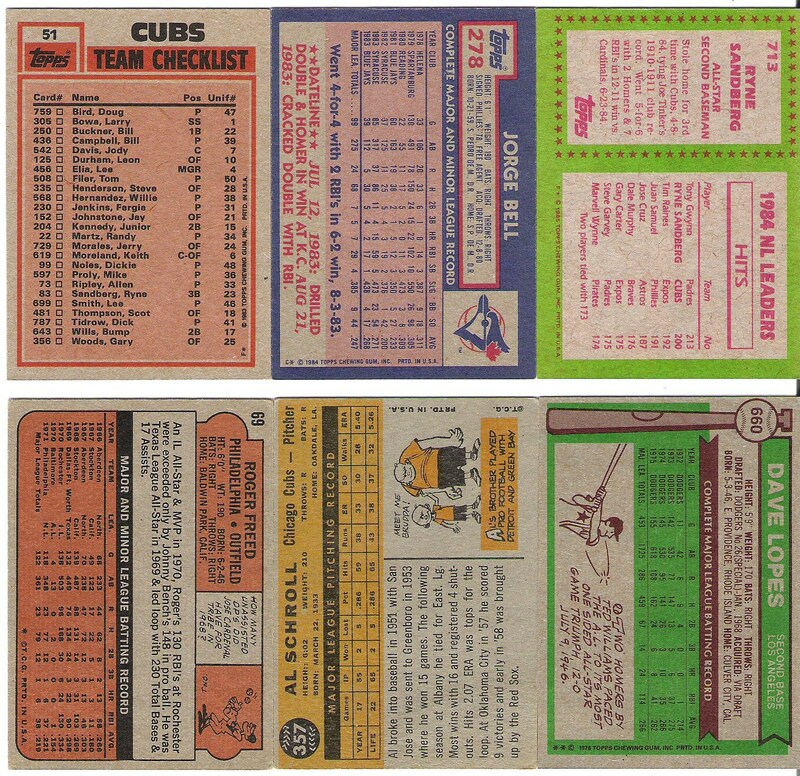 Tagged 1960 topps, 1972 topps, 1976 topps, 1983 topps, 1984 topps, 1985 topps, Al Schroll, Bull Durham, Cubs, Davy Lopes, Fergie Jenkins, George Bell, It's bacon!, Jorge Bell, Leon Durham, MCG, psychadelic tombstones, Roger Freed, Ryne Sandberg, the haul, The lost art of nicknaming, topps Diamond Giveaway, topps Million Card Giveaway, vintage, Vintage vintage! Hey. Wassup? Got some random stuff to hit on, so here goes. First, there is one slot left in The Daily Dimwit‘s Ovation Case Group Break! One team of your choice and a second to be randomed off, for $30. Go for it! Next, I’ve gotten into trade talks with all of the following recently! Cardboard Collections, The Good Dimwit again, Things are Funner Here, the legendary Night Owl, Argyled Plaschke, The Lost Collector, Potch Wheeler, Nomo’s Sushi Platter, Too Many Vergrandersons, Cards on Cards, Offy and more! I know what you’re thinking. Why do I always get myself in so over my head with trades that at least a couple will end up taking forever? Well, this time I’m not in over my head (it just looks that way). Every single person up there has most of their cards set aside for them already. Once finalized (three already are), these will start going out in June. Stuff for Marie and Cardboard Conundrum is pretty much ready to go and just needs sent. I’m pretty sure that despite my extreme brokeness, I will be able to send these towards the end of the week after the weather breaks (it’s storming something fierce as I type this). On top of all that, I think I’ll finally be sending what I believe are my last four horrendously long overdue trades in the near future as well. 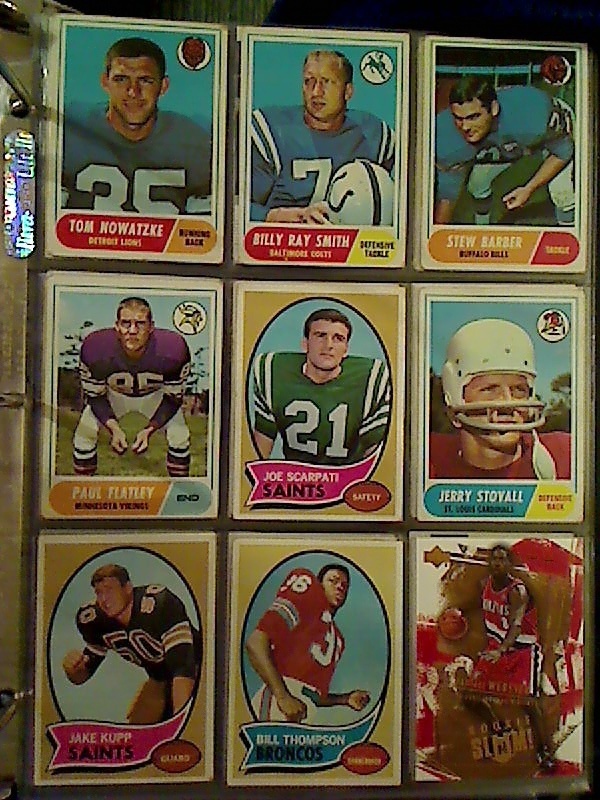 Finally, check back this evening to see what football cards I have available. I should at least have most of my swatches and autos listed by then. Pencils on the X-Men blank variant cover I picked up on Free Comic Book Day, which wasn't even close to free. L-R: Jubilee, Storm, Wolverine, Cyclops, Pixie, Angel, Emma Frost. Jubilee is a vampire now. Vampires are cool. Hal & Ollie came out pretty nice, especially GL. I think I shaded the guardian of Sector 2814 with little bit better touch than Green Arrow. Martian Manhunter got a bit of shading, and the green I used on him seems to have lightened up a touch somehow. I added the stretching to Plas after I already colored the head shot part. I’m thinking I should shade him too, but I dunno. The solid flat colors seem to work. I was using my new brush-tipped pen on Aquaman, and with the bright colors of his hair and costume, the thicker lines give him an oddly cartoony look. Unsure if it works, but I’m not hating it. Also brush-tip penned The Flash, before Aquaman actually. Looked okay I guess, but I totally messed up his skin tone. Accidentally used the wrong marker, so I finished it off and then tried going over it several times, ever-so-slightly lightening it up, but not nearly enough. So I shaded his costume and the background extra dark to match and hopefully make it not so horrible. What do you think of them, this Justice League? I’ll give you all six for $30. So yeah, if you heard on twitter, there was no flea market on Saturday, and apparently there won’t be one at all this month. It’s okay though, I took my what basically amounted to my entire monthly card budget to Target and Walmart, and had the good fortune of it turning out fairly well. We all know how hit-or-miss doing that can be, but it can turn out rather nicely at times too. 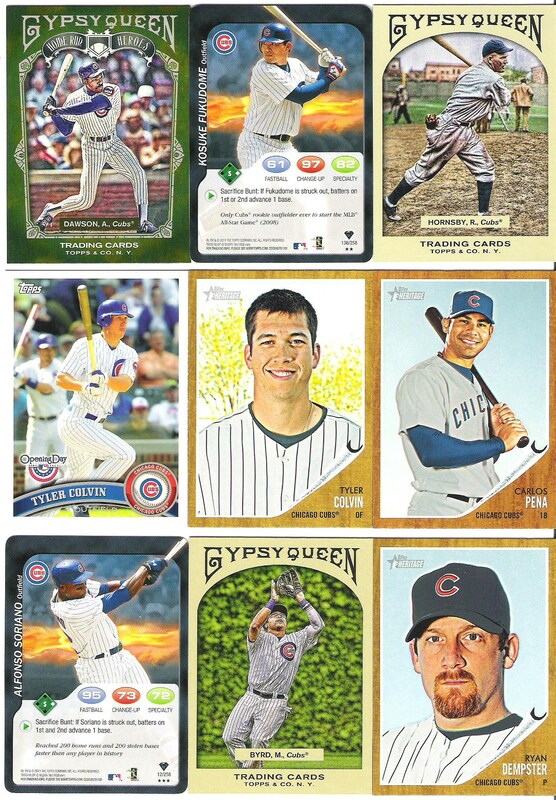 I picked up a 33%-off ($20 instead of $30) blaster of 2009 SP football (the only dud of the bunch) and a Heritage value box (should’ve doubled up on these) at Walmart, and the last two 3-pack value rack pack things of Gypsy Queen at Target. So let’s see how it all turned out, shall we? Just uh, pretend you didn’t read my tweets from Sunday afternoon. They were spoiler city for this post. We’ll start with the Heritage Value Box. The value box bonus refractor. Classy design with rather subtle and subdued refractoring that perfectly highlights without being gaudy. End result: An excellent bonus card. The only card of note from the Heritage hobby packs.. There weren’t even any SPs that I know of. Nothing wrong with getting an insert of a legendary pitcher, but the design is snooze inducing, so without chromeyness or a hit (or some sort of super SP variation nonsense), Heritage tends to be… forgettable. 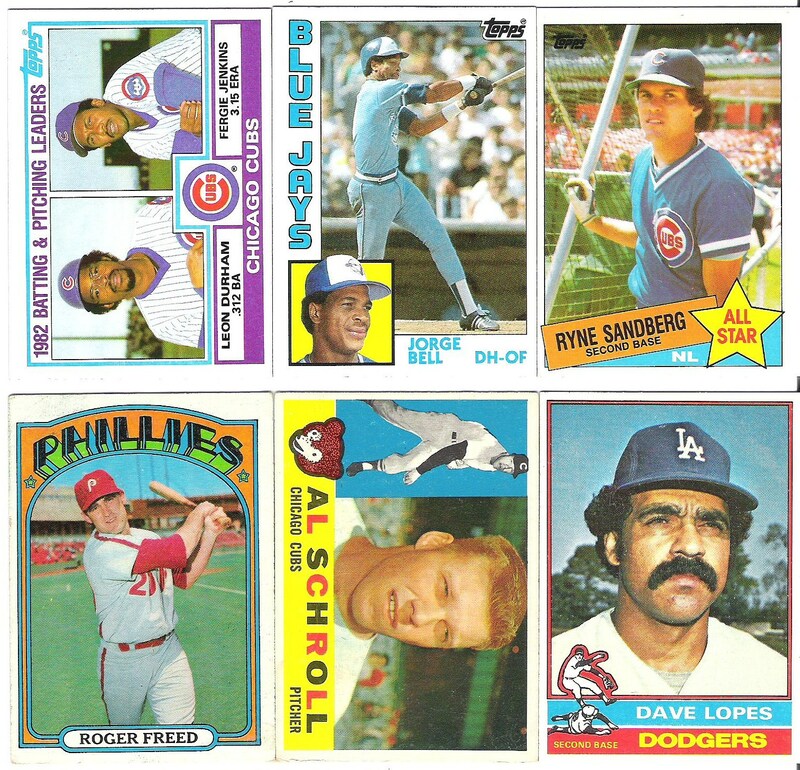 It’s cool though, the regular topps was on point. Start it off with a much-needed mini, because I think I'm still in single digits on this set, unless this McCutchen gets me to 10. 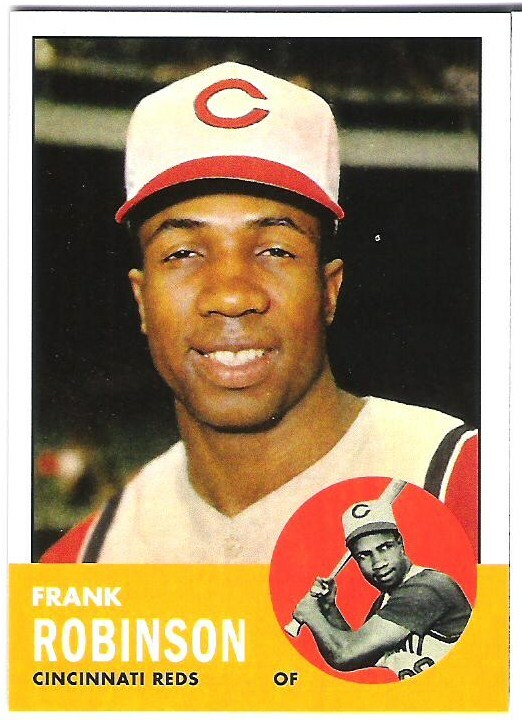 A Frank Robinson card is ALWAYS a welcome addition to my collection. 60 Years of topps. A diamond parallel of a star. 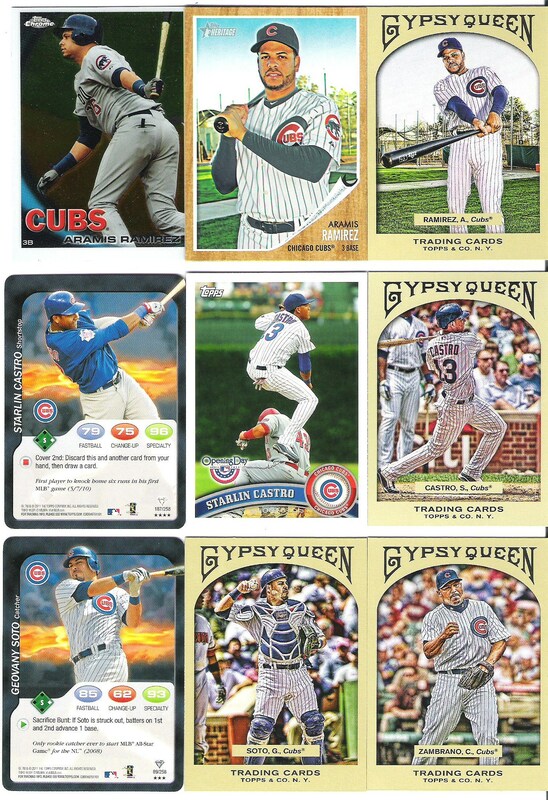 No longer collecting this set (just Cubs and my other player collections), but Cruz is probably worth one of bigger players I am after, to the right trader. 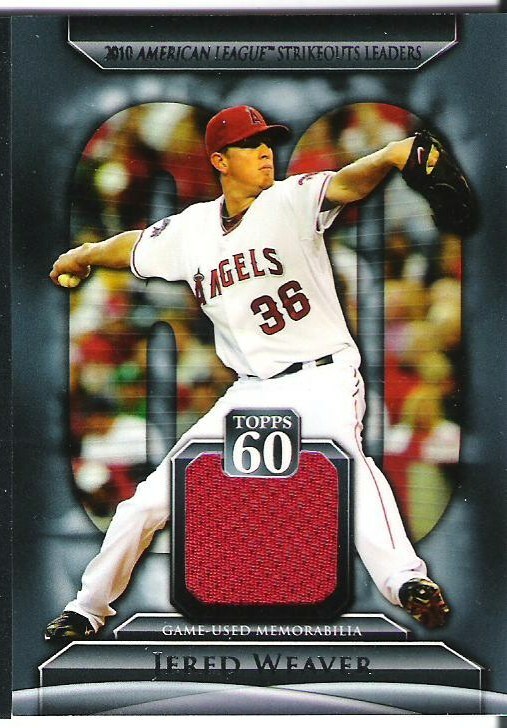 topps60 > Peak Performance, I'm just sayin'. Fairly classy design. These are for trade..
Another cool insert for trade.. I also pulled two Diamond Giveaway cards from the packs, so I ended up with four instead of two. That was nice. 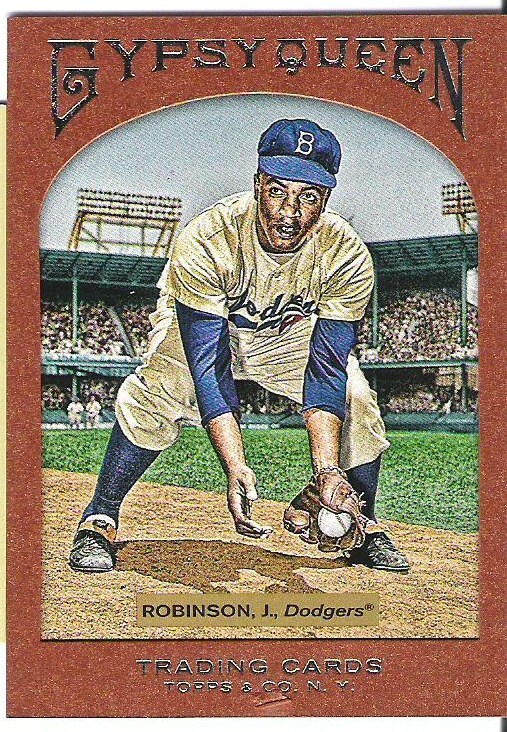 Oddly, they were both the same as the two that came with it (’77 Reggie, ’50-something Jackie). 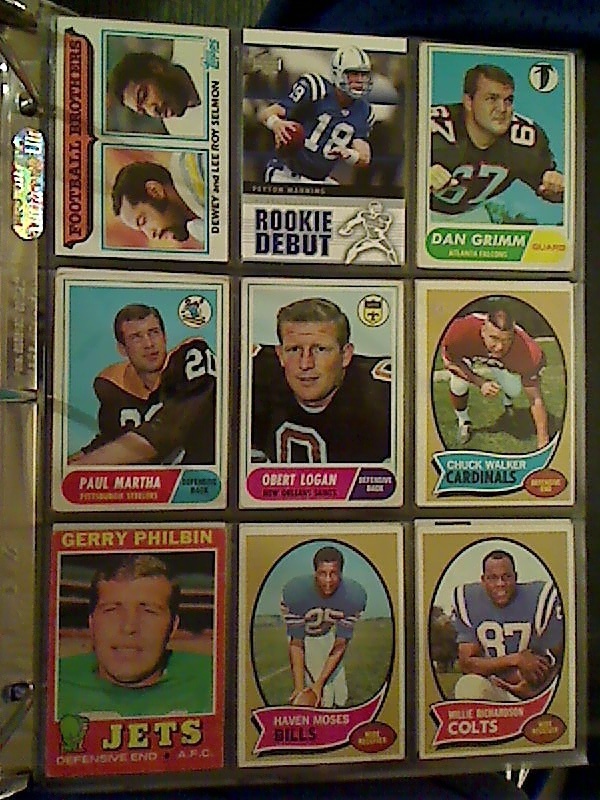 I ended up with an ’88 Tony Gwynn, an ’05 Reds team card, an early ’90s cards so forgettable I can’t even remember which of my three forgettable early ’90s cards was the one I got in this bunch, and a ’70 Don Young (Vintage Cubs!). A jersey card of The Ace of the Angels staff! Weaver is 6-3 with an ERA in the low 2s and a WHIP below 1(!) so far this year. Bonus: It's a nice red swatch. None of that white or gray business here. Great to pull a great player when you hit on a 1:96 pack card, that’s for sure. He’ll be added to the For Trade page when I get around to it. Purple swatch is nice & all, but John David Booty is so very not worth the price of admission, even at 33%-off. What can I say? Even with a better hit, this wouldn’t have been very exciting. There were Bears base, but this was just disappointing overall. Why would anyone ever be willing to pay $30 for one of these, when the vast majority of them were most likely just as lame as this one, which stunk on ice at $20? It was a mistake, plain & simple. I would’ve been much better off going with a second Heritage value box, even if it turned out to not be any good itself. Needless to say, only the Bears in the top row are keepers. The other 57 cards in the blaster can’t be gotten rid of fast enough. Putting the failure of the day behind us, let’s get to the main course and do us up some Gypsy Queen! You saw one of my keepers up top. 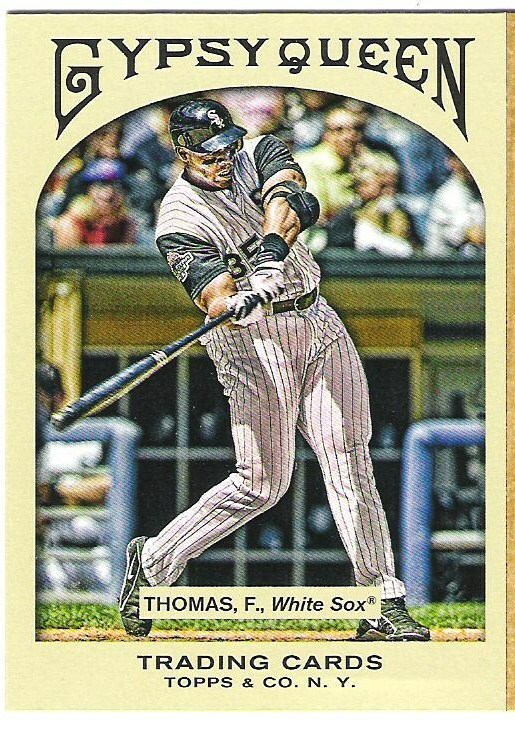 Frank Thomas with the White Sox is an official player collection now. 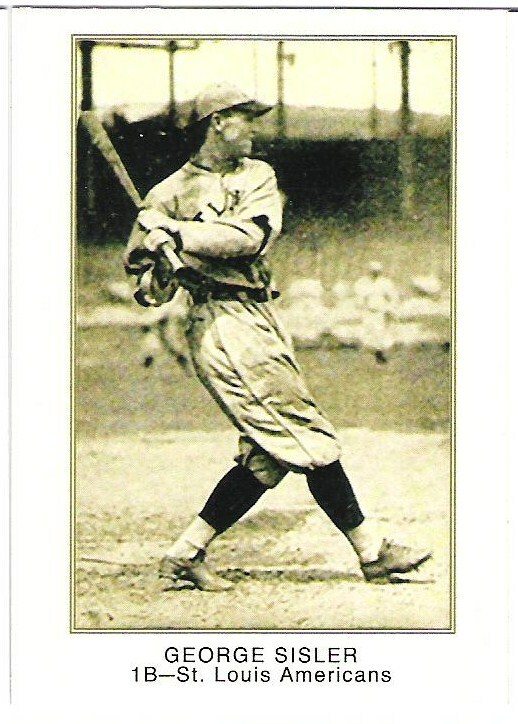 I’ll take hits from anywhere he played, but base and inserts and such I’d prefer be of the White Sox variety. Anyway, everyone always says “Since you’ve already seen the base on countless other blogs, we’ll just skip to the inserts and hits”. No, EVERYONE says this, so no one that doesn’t break down single packs shows the damn base at all (save for the occasional shortprint)! So here are three more base cards (okay, Markakis is a shortprint). Kyle Drabek RC, Andruw Jones in what has to be one of the least flattering pictures on a baseball card this year, and a Nick Markakis SP. The base isn't getting as much love as I expected, but it's got style and is anything but boring. With that taken care of, now here are some inserts. Was that so hard? Pujols, Alexei, Rollie, McGee RC, and the Gypsy Queen back is Chris Carter. I'm suckered in and collecting this set, so if you have any extras, the nine I have will be posted on the set wantlist page later, so you can see what I be needin'. Also, STARLIN! It wasn’t all Hot Pockets and singing frogs with sombreros in Gypsy Queen land though. The second of the two value rack pack things had about a half dozen damaged cards, the worst two being the best two cards I pulled from thing. 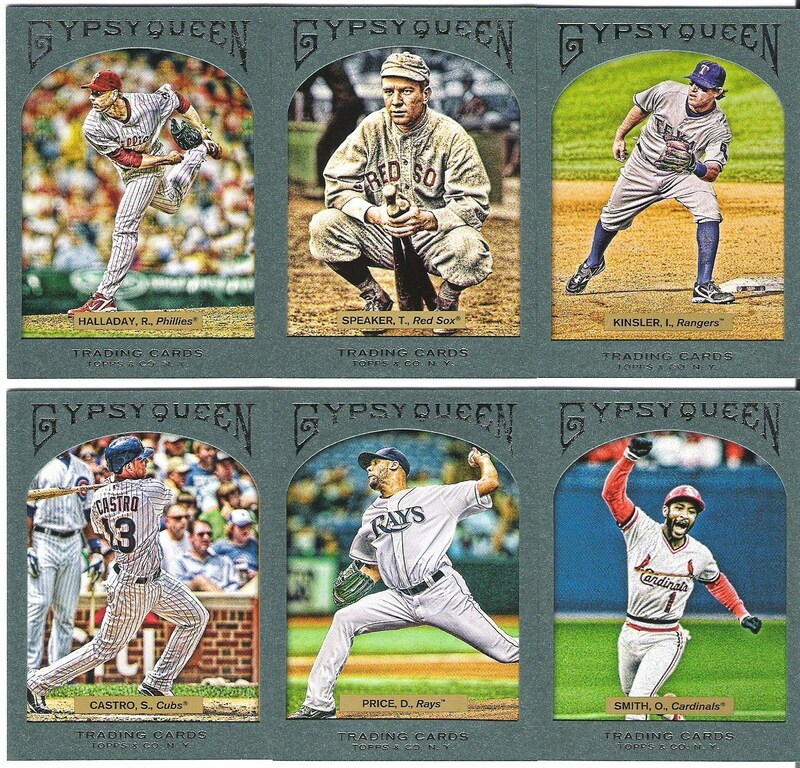 This is a Gypsy Queen-backed shortprint. Difficult to see, but the damage is visible on my oldass low-def monitor at least. The bottom of the left vertical edge is slightly raised on the front, as if someone tried sticking a finger nail in the edge or something. Jackie Robinson Framed Paper #'ed 100/999. Then it got worse. The card came out of the pack with that little chunk below the words at the bottom ripped up and barely hanging onto the card. What the hell, pack searcher and/or lollygagging topps quality control person?! Like half of the inserts in this same rack having minor damage on *two* corners, and my short print and Aroldis Chapman base having far worse on one of theirs wasn't bad enough, let's screw up the two best cards too... Will be sending these back for replacements. Fortunately, there was a saving grace with the Gypsy Queen. Behold! There was a lot of good in this little binge, and plenty of bad, but it can’t be denied… Retail has it’s occasional moments. A lot of my better hits seem to have come from retail, and this… well this card is right up there amongst the best of them, team allegiances or not. So there you go, my latest binge. 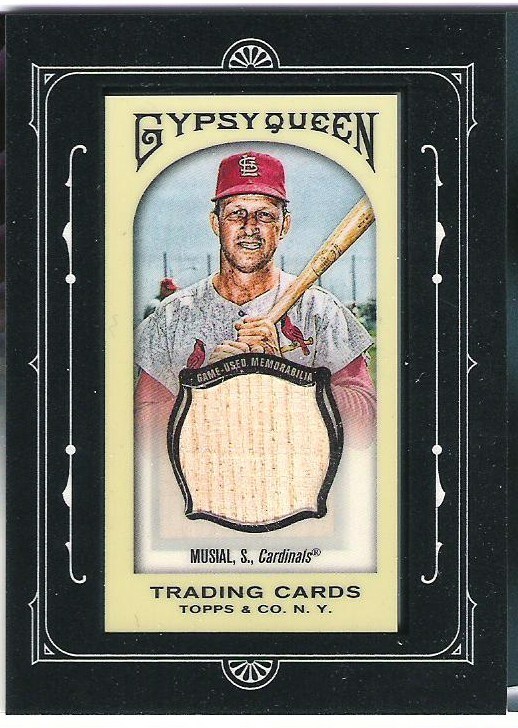 I think I would’ve preferred taking another $25 to the flea market, but aside from the SP and what should be replaceable damaged cards, I am exceedingly pleased with the Heritage value box and Gypsy Queen, and it only amounted to $10 more. We’ll just call SP a $20 learning experience and try to be smarter in the future. And this overly long post is finished! Sorry it’d been a couple days without posting by the way. My sleep got JACKED UP by a linebacker that goes by the name Ray Insomnia. How could I have forgotten these funderfulriffic cards?! These are the undamaged inserts. I am definitely collecting the Sticky Fingers set entirely because the design is so utterly perfect. Just now noticed the spider motif on the Wall Climbers too! I was going to collect it, but probably not now because I'm so utterly terrified of spiders. Admittedly, that is a terrible excuse, because bees are actually the thing I had a traumatic incident with in my youth (one somehow got in my shirt and stung me on the back several times DURING a little league game). My dad lost a toe to a Brown Recluse bite though, so my spider fear isn't misplaced though. Ah, screw it, I'm not collecting either one. Crap. Now that’s a wrap. I’ll post up the two insert sets I will be collecting later on tonight. Thanks, as ever, for stopping by! Also, I got my new computer, baby! Almost done! We’ll get two of the last three binder pages done today, and finish it off just before I head out on Saturday. Also, I blew the days in a row streak again, due to being up pretty close to 24 hours into yesterday afternoon (thanks in part to coloring sketch cards), and sleeping off & on until about 3:30am. Oh well, someday I’ll get an entire week of posts in without missing a day. In other news, you may have noticed more work has been done on the player collection pages, and I’ve even finished updating a few baseball players to the best of my ability. The bigger collections like Aramis & Big Z (also Kosuke, Ichiro, Vlad, maybe some others when I get them finished) a card or two may still turn up for, but likely nothing major. Now, onto the binder pages! Why Purchased: Vintage Football! … And a random mid-2000s basketball player. Keepers: None. Saints and Giants are likely going to BA Benny unless someone else calls any of them. Notes: I’d say “One of these things is not like the others”, but I just know some random jackass would call me racist or something. Stew’s middle name is apparently Clair. Just pointing that out. Somehow, the font size on the captions and the regular writing just reversed itself. It doesn’t appear that way in the preview for the actual post, but WTF?? Jerry Stovall’s helmet is weird. 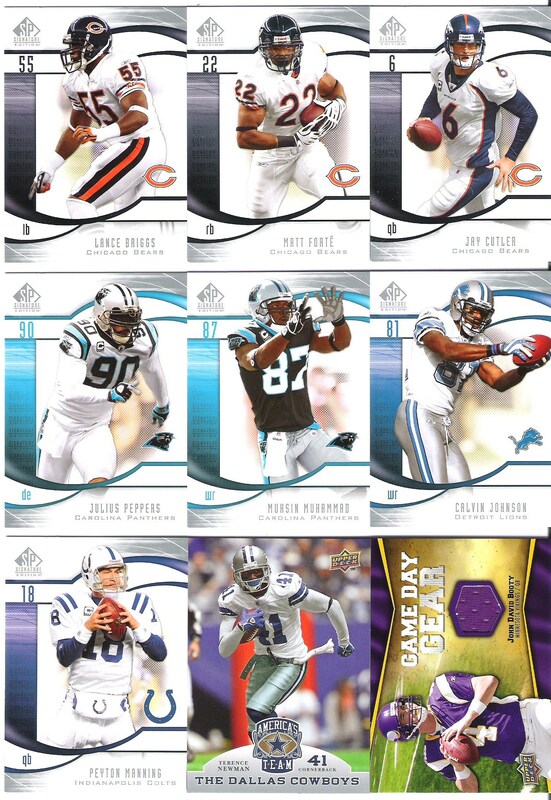 But I bet it’d be way easier to draw than the one in the Seneca Wallace sketch card. Mind-Blowing Statistic: Joe Scarpati got no awards love, but had an 8-interception/182-yards season in 1966. Similarly, Billy Ray Smith’s AV (Approximate Value) in 1968 was amongst the league leaders at 17 (the rest of his career it was middling at best). Why Purchased: I believe we have established the reason as being VINTAGE~! Mind-Blowing Statistic: Bill Thompson and Haven Moses are by far the best of the vintage commons from a measurable statistic standpoint (remember, sacks & things weren’t counted till much later). Thompson intercepted 40 passes in his career (784 INT return yards) and 3 touchdowns off of INTs, plus 4 more TDs from fumble recoveries. He was also a pretty good punt returner in the first half of his career, averaging a solid 11.6 yards per return on 157 tries (plus a very good 25.1 on about a season’s worth of kick returns in his career). There are safeties with more INTs and touchdowns off of them, but not so many when it comes to total defensive touchdowns. And with the added value of being a good returner, he should maybe get some Hall of Fame consideration, just sayin’. Haven Moses’ 8091 receiving yards was top-10 all-time when he retired. He’s way down the list nowadays, but the league wasn’t so pass happy then. He’s not a Hall of Famer because he’s like 77th all-time now I guess, but still hugely underrated nonetheless. That’s all for this one. I’m going back to sleep now. As always, thanks for stopping by.